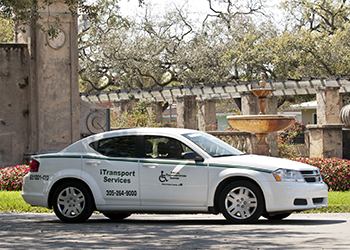 iTransport is dedicated to providing non-emergency transportation to eligible passengers across all of Miami-Dade County as well as certain areas of Monroe County’s Upper to Middle Keys. 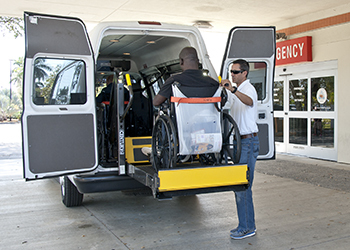 The iTransport fleet is comprised of minivans, vans, and sedans ready to safely transport passengers with disabilities door-to-door in an environment that is comfortable and free of smoke. We also have vans capable of accommodating up to 15 people for purposes such as group excursions or transporting students to field trips. With over 3,500 trips scheduled each week, iTransport is proud to provide non-emergency paratransit services to qualified individuals at all hours of the day seven days a week. Riders can use our services for everything from medical appointments, grocery shopping, making it to school or work, or even for recreational trips. Service is available for $3.50 per roundtrip ride. Qualified riders may travel with a personal care attendant at no additional charge. Guests may also use the iTransport along with the qualified rider, though they are required to pay the fare. Seating for guests is subject to availability. For individuals that are not STS eligible but require a personalized method of transportation, iTransport vans will safely transport the guest to an HMO, hospital, medical appointment or rehabilitation center. Our service is ideal for use with post-surgery, outpatient and hospital discharge transportation. Our luxurious MV1 vehicles provide a fusion of style, comfort, and safety. Regardless of the occasion, being transported in our private wheelchair accessible vehicles is an experience that will leave lasting memories and optimum satisfaction. Each MV1 vehicle is retrofitted so that the wheelchair passenger enjoys the best view by riding in the front alongside the driver. Our trained drivers have years of professional driving experience and dress in chauffeur-like uniforms. Do you require a group charter? No problem! Our 15, 35, 38, and 55 passenger vans and motor coaches can comfortably transport your entire group to events, city tours, day trips, or any travel needs that require going out of state. 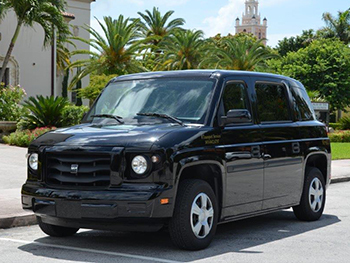 For more details on the private transportation services iTransport can provide you, please call 305-662-6797.